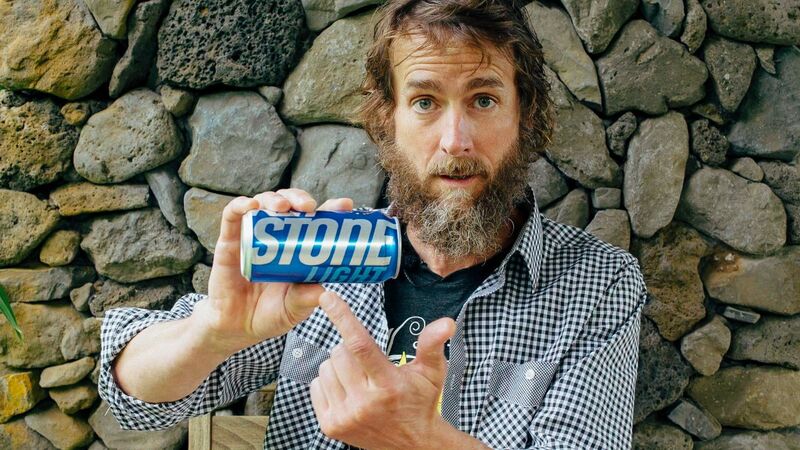 TRUE STONE v. KEYSTONE: Stone Brewing’s Motion for Preliminary Injunction is Denied, but the Court’s Ruling Indicates a Finding of Infringement Against MillerCoors is Likely. And the branding on the boxes and in-store advertising material is similar in appearance. Without giving the matter too much thought, one can understand Stone’s frustration with MillerCoors’s rebranding. Adding insult to injury, since the rebranding, Keystone Light has gone from MillerCoors’s worst selling line of KEYSTONE beer, to the best. Concurrently, Stone noticed a discernable drop in its sales, which it attributes to current and potential consumers being consumed by Keystone’s new can and packaging. For example, in December 2017, a consumer reached out to Stone to inquire about its “new STONE LITE” product – a non-existent beer that appears only in MillerCoors’ advertising. In an attempt to halt MillerCoors’ use of the allegedly infringing mark and related marketing materials, on May 31, 2018, Stone filed a motion for preliminary injunction. MillerCoors opposed the motion on July 30, 2018, and the Court determined the motion was suitable for determination without hearing. On March 26, 2019, the Court issued its ruling. Acknowledging that a preliminary injunction is an extraordinary and drastic remedy, the Court walked through the applicable Winter analysis, which includes: (1) likelihood of success on the merits; (2) likelihood of irreparable harm; (3) balancing of the equities; and (4) the public interest. The Court analyzed the first two factors in detail, and briefly touched on the last two. Analyzing the likelihood of success on the merits, the Court walked through each of the eight Sleekcraft factors to determine whether a likelihood of confusion exists. The Court acknowledged that the three most important factors, known as the “troika,” are: (1) the similarity of the mark, (2) the proximity of the goods, and (3) marketing channels used. The Court ultimately concluded that two of these three factors weighed in favor of Stone, although in doing so, it erroneously discussed strength of the mark rather than similarity of the mark, the latter of which favored MillerCoors. As to the strength of the mark, the Court held that Stone’s mark is commercially strong and recognizable. The Court also held that STONE, as a trademark, may be suggestive or possibly arbitrary, but the Court was unconvinced of its arbitrary nature at this time, finding that the mark is suggestive for purposes of this motion. Ultimately, the Court concluded, especially considering the mark’s incontestability, STONE is entitled to the strong protection afforded suggestive marks. As to the proximity of the goods, the Court found that Stone and MillerCoors are nationally known beer producers. Both companies have national distribution, and their products are often located within close proximity of one another in stores. As such, the Court found this factor weighs in favor of Stone. As to marketing channels, the Court found that the products are “literally found on the same aisle.” But where both parties utilize the Internet, or some other less obscure channel to market their respective products, the Ninth Circuit has found that this factor carries little weight. Ultimately, the Court concluded that this factor didn’t favor either party over the other. Taking all of the factors into account, the Court held that the Sleekcraft factors favor Stone, and as such, Stone’s trademark infringement claim against MillerCoors is moderately strong. But despite finding Stone likely to succeed on the merits, the Court found that Stone had not shown a likelihood of suffering irreparable harm; a mandatory showing for a preliminary injunction. Although the Court recognized that “evidence of threatened loss of prospective customers or goodwill certainly supports a finding of the possibility of irreparable harm[,]” it held that Stone fell short of establishing its likelihood of suffering such harm. In closing, the Court stated that “Stone has demonstrated that it has a moderately strong infringement claim against Miller, but not that it would suffer irreparable harm absent a preliminary injunction.” And because the “second finding alone is enough to deny Stone’s request for a preliminary injunction[,]” the Court denied the motion.